The ancient text of Agastya Samhita describes the method of making electric battery, and that water can be split into oxygen and hydrogen. Modern battery cell resembles Agastya’s method of generating electricity. When a cell was prepared according to Agastya Samhita and measured, it gives open circuit voltage as 1.138 volts, and short circuit current as 23 mA. 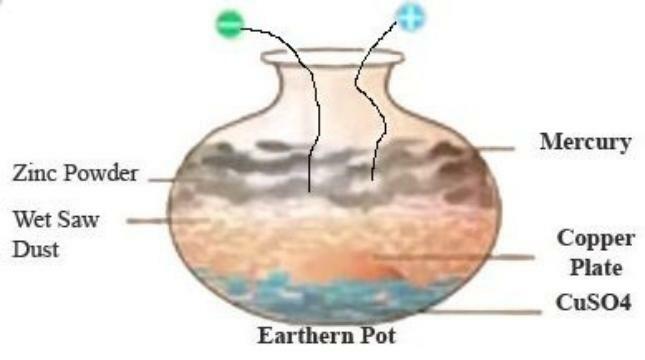 if we use the power of 100 earthen pots on water, then water will change its form into life-giving oxygen and floating hydrogen.